Last week about seventy people gathered at the Thomas Farm Community Center to watch the first candidate forum (watch on YouTube). Hosted by the Rockville Chamber of Commerce, the questions focused on issues that were important to the business community, such as the impact of the new developments on the north (Crown) and south (Pike and Rose), the future of the APFO, building heights and street widths on the Rockville Pike, and if the non-residential tax base should grow to support city services. This was the community’s first chance to see all the candidates together and assess how they handled a variety of questions in a very controlled environment. If anyone expected sparks to fly, the minute-long responses don’t lend themselves to much content that generates controversy. Many fell to vague pat answers such as “we have great city services but we can do more/we’re not doing enough” or supporting “smart/right-sized/managed/appropriate growth.” There was a brief moment when Virginia Onley confronted Richard Gottfried about his accusations but it passed quickly, and if any lasting heat and light was generated, it was between mayoral candidates Bridget Newton and Sima Osdoby. 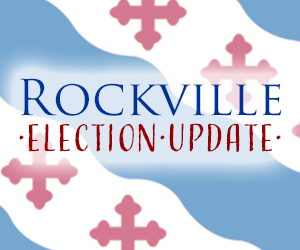 The mayoral race has the strongest and most divergent candidates, so expect more action here than in the Council race. 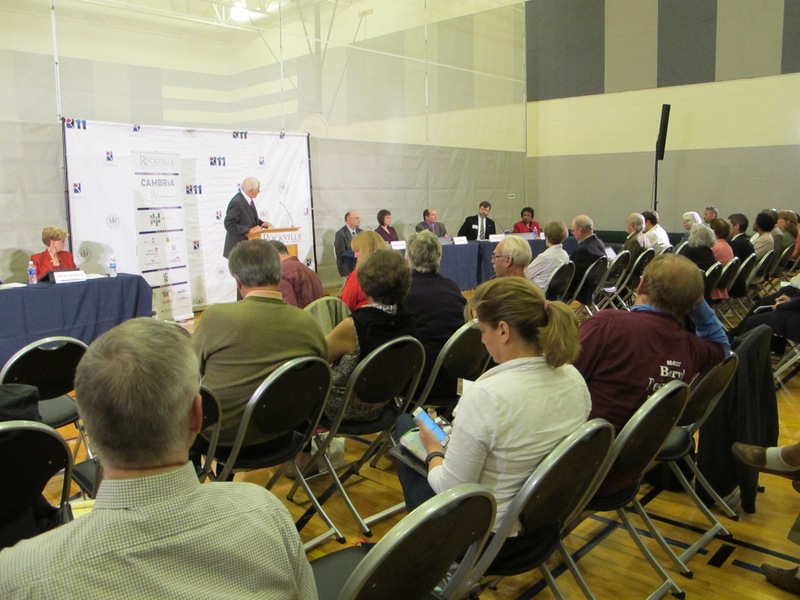 For more about this forum, Bethesda Magazine provided a helpful summary, Rockville View countered Mayor Newton’s memory of the planning for Rockville Pike, and a video of the debate is available on the City of Rockville’s YouTube channel. The first debate is always the toughest one for candidates and as expected, their performance was varied. What surprised me is that it didn’t necessarily correlate with experience. Although seated just inches apart, Beryl Feinberg and Brigitta Mullican were at opposite ends of the performance spectrum. Ms. Mullican rarely looked at her notes, responded confidently and clearly to the questions, and was obviously well prepared. Ms. Feinberg, on the other hand, continually relied on her heavily highlighted notes, pausing to review them before answering most questions. We might conclude this is due to “first forum” jitters but she’s served on Council for the past two years and she should be familiar with most of the issues sufficiently that she can talk about them for 90 seconds extemporaneously. Indeed, her preparation (or lack thereof) was recently criticized in a YouTube video with a strange title (“Watch as Beryl Feinberg Phones it In“) that reveals the startling similarity between her 2013 and 2015 video campaign statements. If it were two different people, you’d accuse one of them of plagiarism but when it’s the same person saying the same thing word for word yet separated by two years, it’s either creepy or careless (or perhaps both). Whatever the case, it seems she’s reusing her campaign strategy verbatim from two years ago instead of crafting something new and different. Remember to vote on November 3. These are four-year terms, so choose wisely.